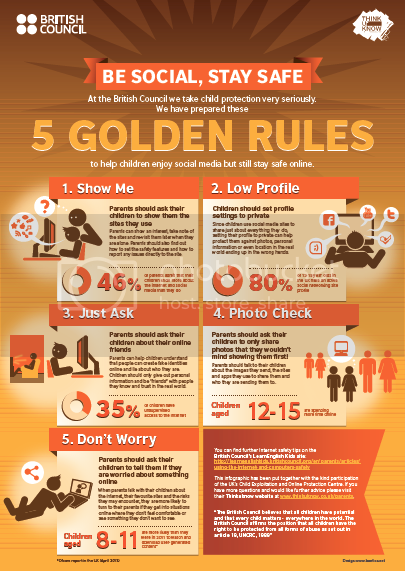 In June 2013, the British Council's Social Media Team Child Protection team worked with CEOP to develop 5 Golden Rules to help parents and carers keep their children safe on social media. As this was a great success and was well appreciated, we would now like to continue this work. The aim of this lesson is to sensitise teenage students to the risks of social media and to raise their awareness of how to stay safe when using it.